I've always been a lover of all things vintage and "pretty", but lately I've discovered a newfound admiration for natural elements in the home. 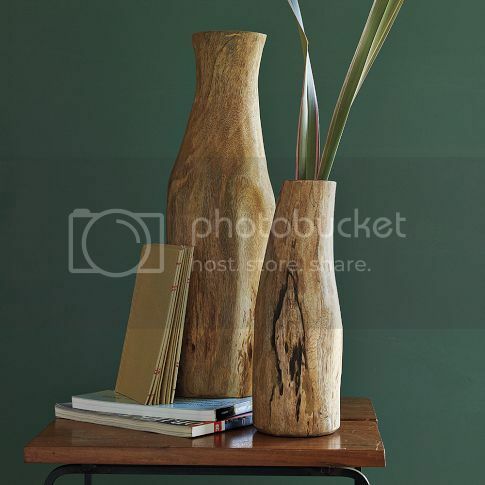 There's something so beautiful about the simplicity of wooden, earthy decor. I obsessed for a day or two, then couldn't bring myself to pay $70 for a vase and moved on. I never spoke a word of it to Zach (men don't understand our online shopping habits, do they? 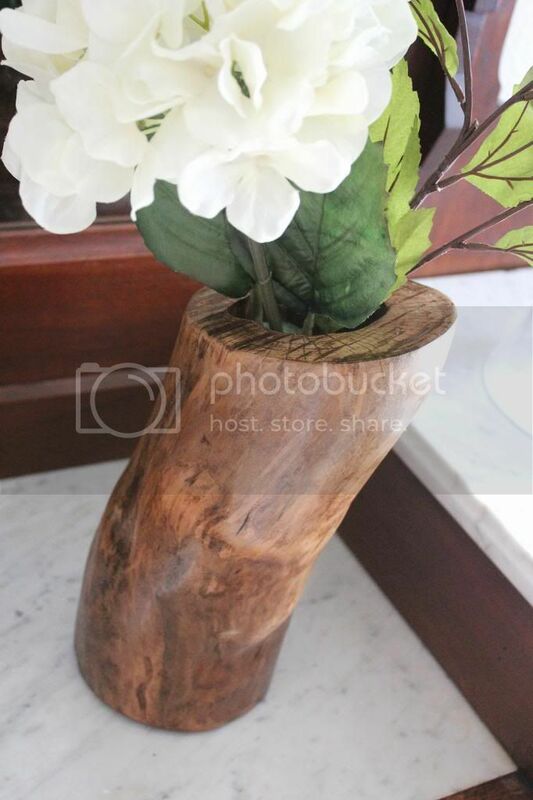 ), so I was completely surprised when he walked in the house Saturday afternoon with a log vase in hand, saying "Look what I made. Do you want it?" "Ummm, YES I want it!" Turns out he had a few extra logs in the garage (he finds them on the side of the road...trash to treasure, people! 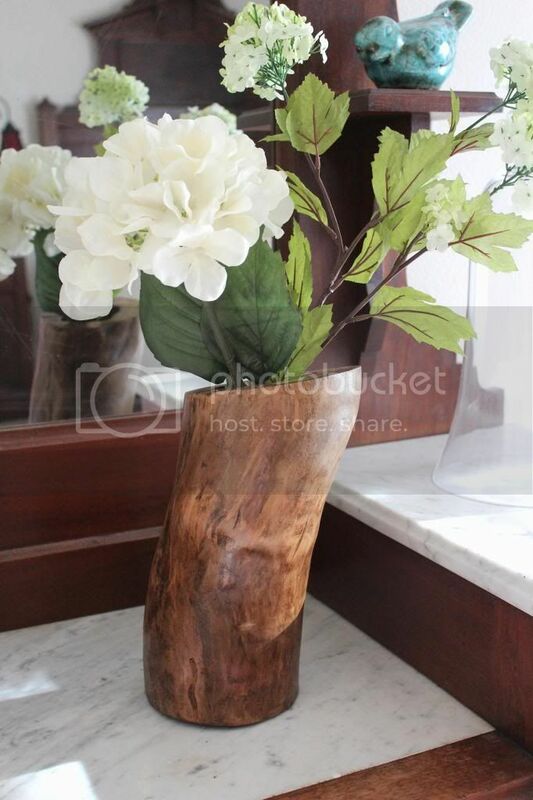 ), saw the potential for a vase, and whipped one up. I wish I had pictures of the process for you guys, but Bear and I were playing the whole time and had no idea what he was working on out there...sneaky little crafter. 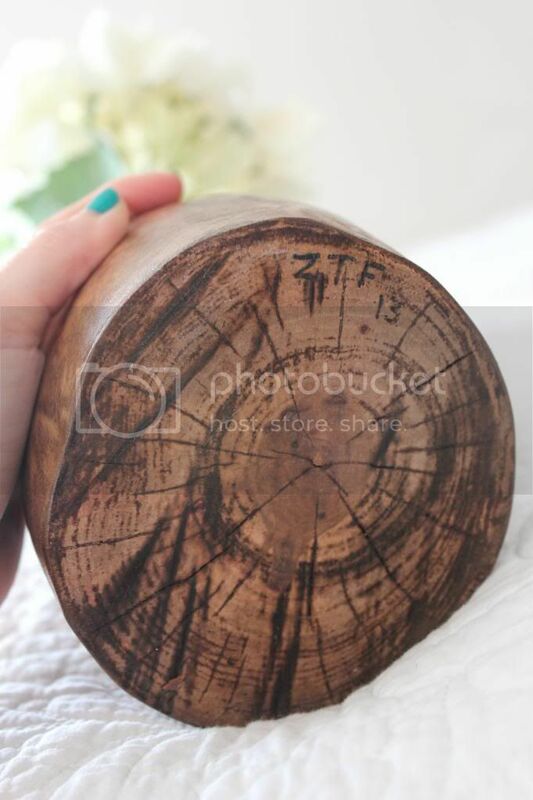 Luckily he took a "before" picture of the log so you can get an idea of the transformation. 6. Sand outside with 22 grit sandpaper to get "baby smooth"
7. Stain outside of log using Minwax "Golden Oak"
8. 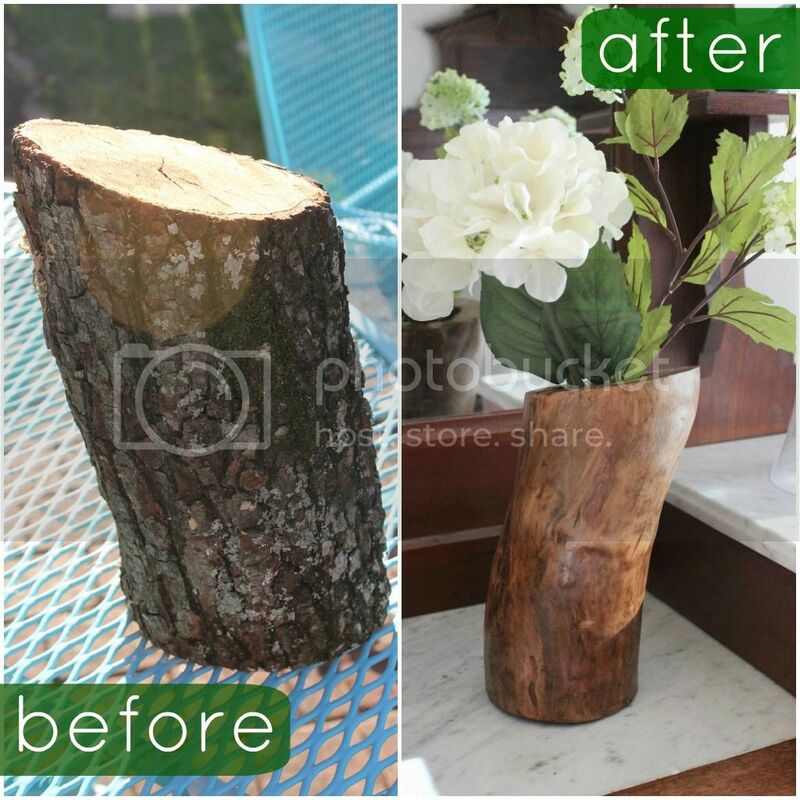 Let dry...and you have yourself a pretty, functional log vase! I love it in our upstairs guest room, but honestly it could go anywhere in the house. That's what's great about pieces like this; they're so versatile. We love simple, green projects like this one that spruce up our home. 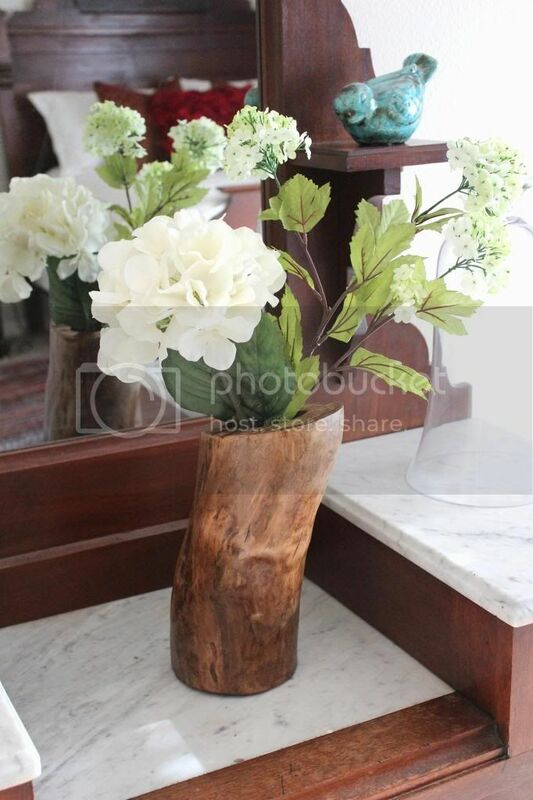 Why buy an expensive vase when you can make one yourself? 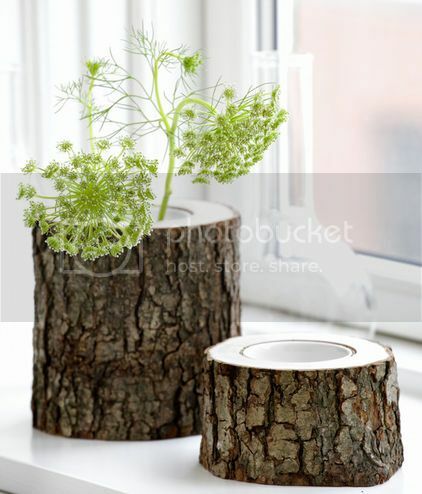 Are you a fan of natural decor, too? Have you ever attempted making any?